So I know this palette has been featured and swatched to high heaven all over social media, but according to a Twitter poll I held, a review and makeup look for this palette were still very much requested. I think it is important as a consumer to read many, many, many reviews on any given product and find out the good, bad, and the ugly before making a solid decision if the product is worth purchasing. I, like many other consumers, have a drawer filled with "must have" neutral palettes collecting dust, which begs the question: do we really need them all? While I'm probably not the best fit to answer that question as I am a self-proclaimed beauty addict, it is some food for thought. 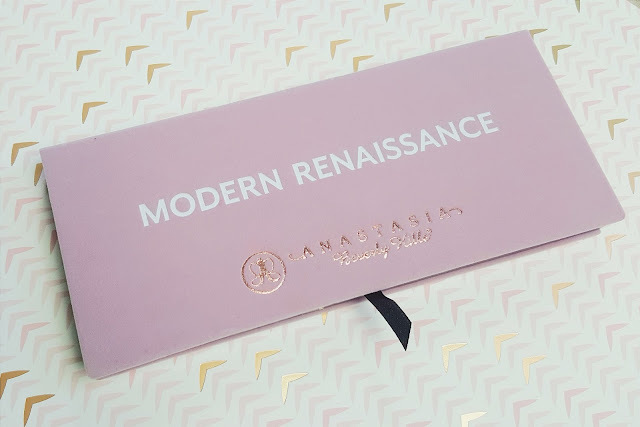 However, if we are being completely honest, I was not at all impressed when I saw the initial PR images for the Anastasia Beverly Hills Modern Renaissance Palette. 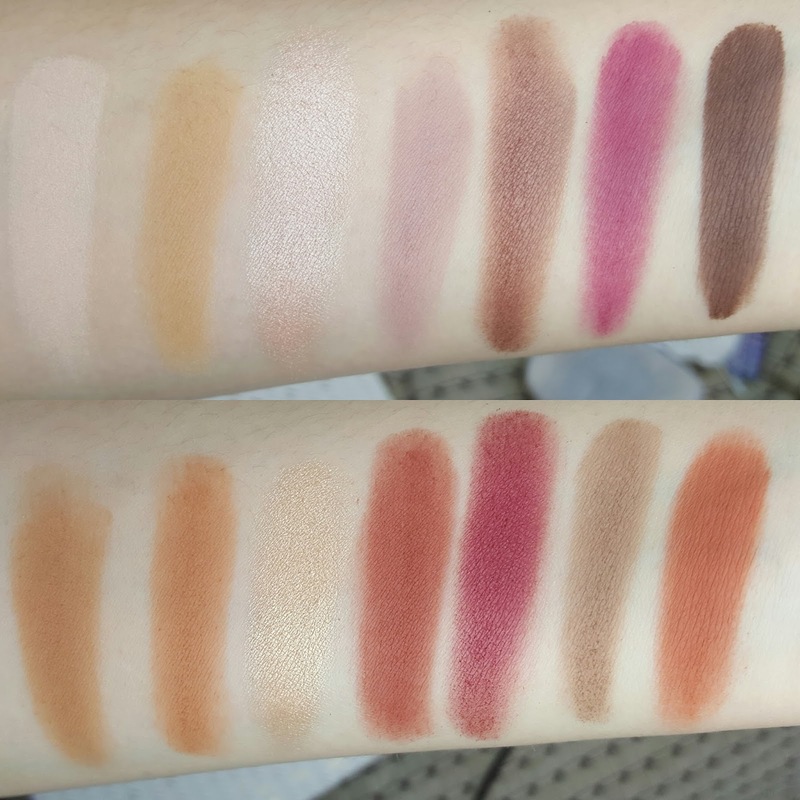 It wasn't because the palette looked like a bad one by any means, but appeared to have so many multiples of the exact same shades. 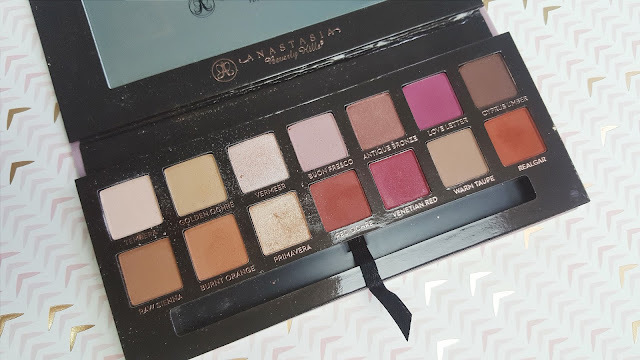 Nonetheless, clearly my inner beauty addict gave in the second I swatched this palette in stores at Sephora, so hopefully this review will shed some light on what others haven't yet told you. The Anastasia Beverly Hills Modern Renaissance Palette is a 14-pan eyeshadow palette containing a variety of warm neutrals and berry tones (nine mattes, two satins, & three metallics). Each eyeshadow contains 0.02 oz of product and are housed in a durable cardboard packaging topped with fuzzy, mauve-pink velvet. As an added bonus, the palette also comes with a double-ended brush for on the go. It the first palette that ABH has produced that will be permanent to their line and can be purchased at Sephora, Ulta, and Macy's for $42. In previous palettes, I have felt that Anastasia Beverly Hills lacked the quality and cohesiveness that draws me in with other neutral palettes. I much preferred the quality of their single shadows, which always proved to be pigmented and easy to work with. However, I am pleased to say that ABH has tremendously improved the formula of their eyeshadow palettes. The shadows in the Modern Renaissance Palette are buttery smooth and pigmented, but are also easy to work with and build up. I do find that the shades provide a lot of kick up, but that does not really bother me as all I have to do is tap off any excess from my brush. On initial application of the mattes in particular, I noticed that buffing and blending cause them to lose their vibrancy and pigmentation, but when applied a second time, the pigment stuck and was nicely buildable. I believe this makes it a palette that is very user- and beginner-friendly. I had absolutely no issues with the wear of these eyeshadows. There was no creasing, fading, or transferring whatsoever. While there are a ton of neutral palettes on the market, I do believe this specific palette has its own voice and individuality. Many of the neutrals in this palette, such as Golden Ochre, Warm Taupe, and Realgar, are very unique and are ones I haven't seen before. The palette is also very compact and portable, allows you to create an entire look with just this one palette, and gives a good amount of variety to transition you through the seasons. The price point also isn't that bad as it breaks down to $3 per shadow, though I do wish each shadow contained more product. All in all, the quality is pretty on par with other neutral palettes on the market, such as the Lorac Pro Palette and the Kat Von D Shade And Light Eye Palette. However, it maintains a better quality and consistency than the more affordable Morphe 35O Palette, which can be pretty chalky and reads one-note overall. Nevertheless, if you already have a ton of neutrals in your collection, this palette may not be an absolute must-have, but if you are just beginning out in makeup or are interested in trying out some of Anastasia Beverly Hills eyeshadows, this would be an excellent introduction. Why are you so gorgeous! I read your review of the palette of course, but I mainly came over for your beautiful face. 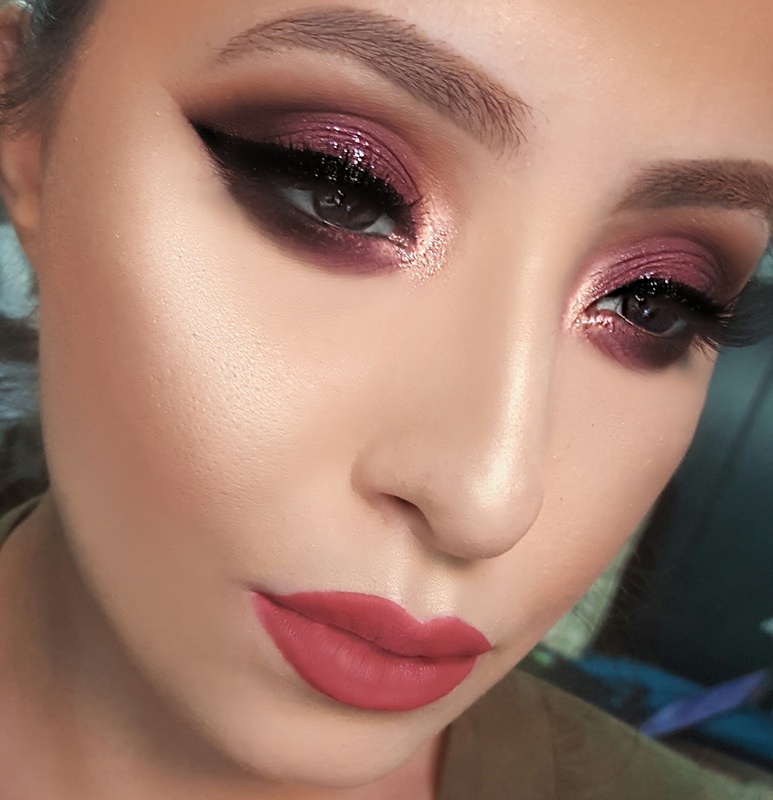 Love the look you came up with!